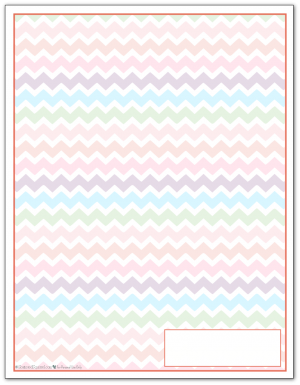 The Understated Rainbow Planner started its life as the 2016 dated calendars. Just like I did for the Pretty in Pastel Planner, I updated some of the old printables and created some new ones to match the 2016 calendars. 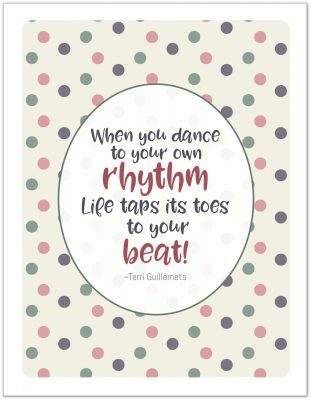 I’m always searching for ways to make it easier for you to find the ones you like. So I’ve gathered up all the ones that match and put them all in one, easy to find, place. The Understated Rainbow Planner is a collection monthly calendars, weekly planner, daily planner, and a couple of extra pages for a little fun. 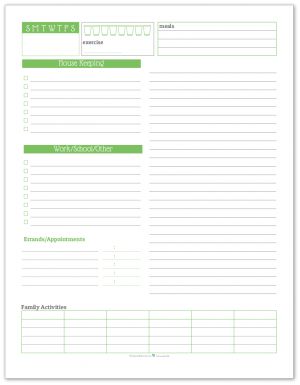 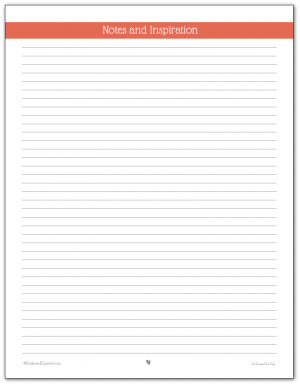 This page is divided into sections to make it easier for you to find the printables you’re looking for. Each section contains links to all the posts where the printables appear, as well as a gallery of all the planner printables to make it super easy to just grab the ones you like. 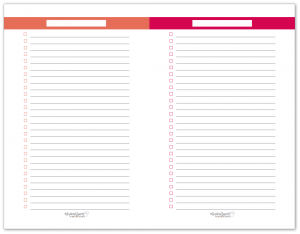 As always, to get a copy of the printables you like/want/need, simply click their pictures. 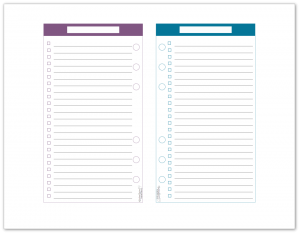 Most of the new printables in this collection were created as part of the From Scattered to Sane series that I did last October. 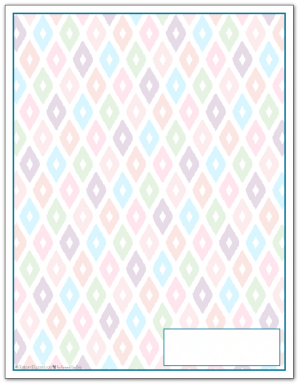 After making some of the new ones I decided that I really wanted to update some of the older ones as well so that there were many to choose from. I hope you enjoy using them as much as I enjoyed making them! 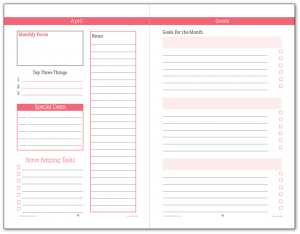 Below you will find both the dated calendars and the new monthly planner printable pages that you can use to help plan your month and stay on track with your goals. I really like using the planner pages alon with the calendar to help me see a good overview of what is happening, or needs to happen, each month. 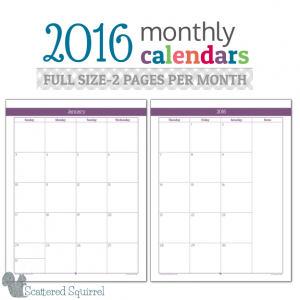 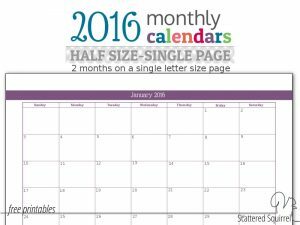 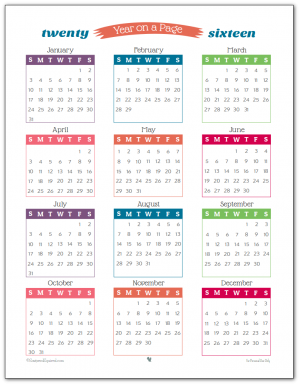 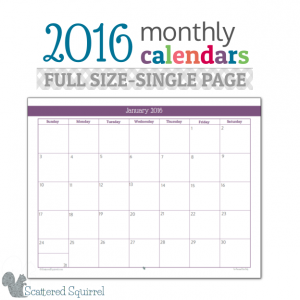 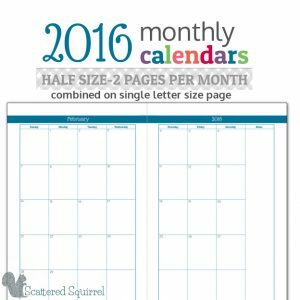 Updated Half-Size Calendars – If you’re using a half-size calendar, I recommend starting with this post. Later in 2016 I’ll be sharing blank versions of all the monthly calendar pages, for now though I hope you enjoy the dated ones! Weekly planner layouts are one of the most versatile planner layouts out there. 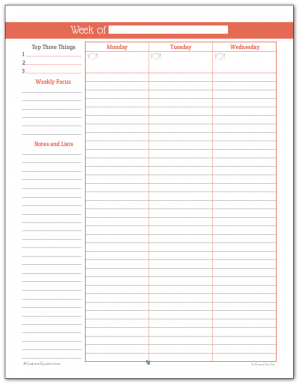 The right layout will work well for you whether you just need something to keep track of appointments and to do lists or something to scehdule your entire day into. Daily planners are a fantastic addition to any planner. 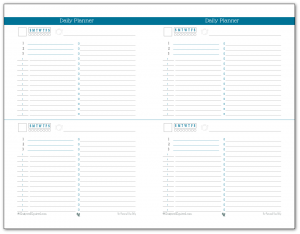 Having a couple on hand for the super busy days is a great way to make sure you are always prepared. From to-do lists to day planners you’ll find all daily planners below. The little extras that we add to our planners can help pull the whole thing together. 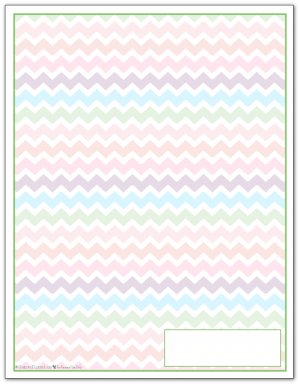 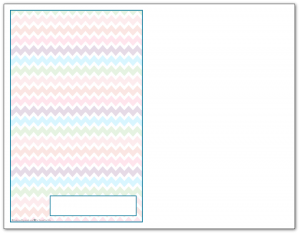 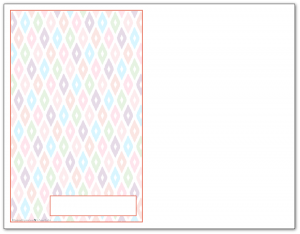 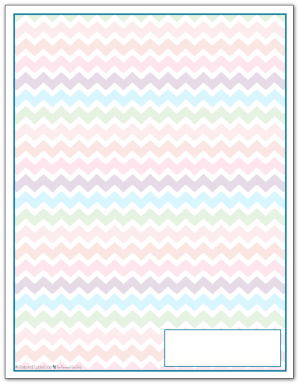 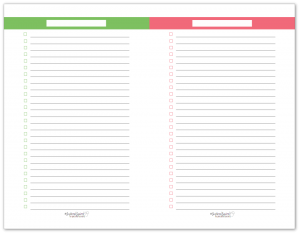 Below you’ll find all the add-on pages for the Understated Rainbow planner printable collection. 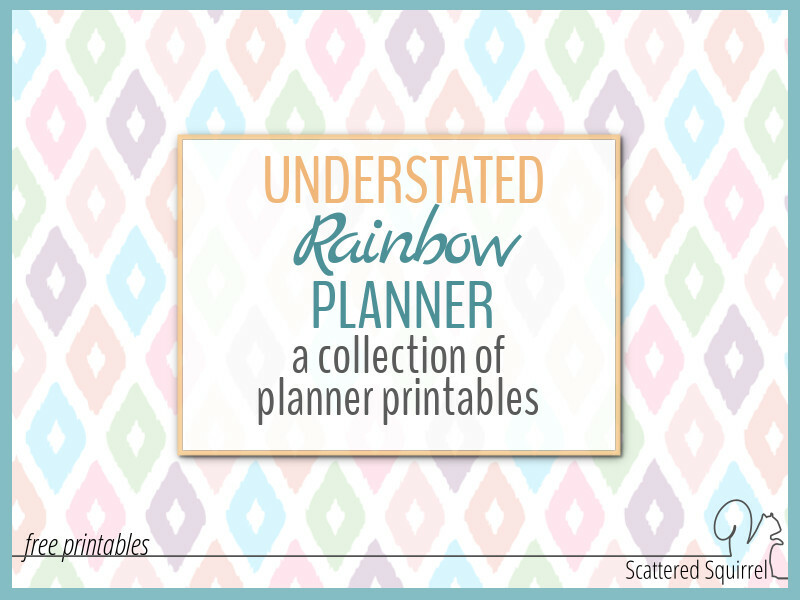 Though it might look complete, the Understated Rainbow planner collection is still growing. Over time, as I create new printables in the theme I’ll add be sure to add them to this page. 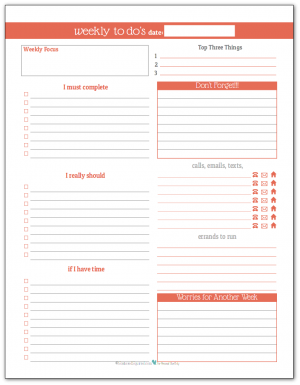 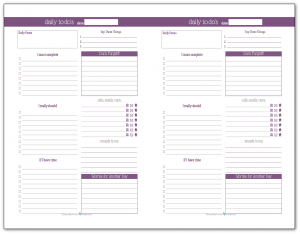 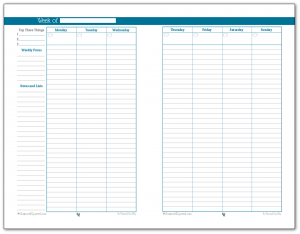 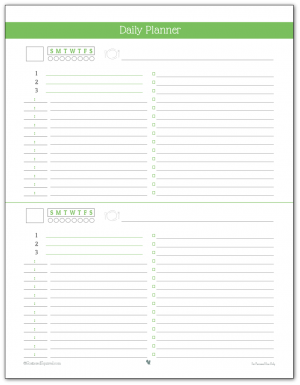 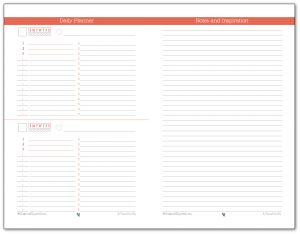 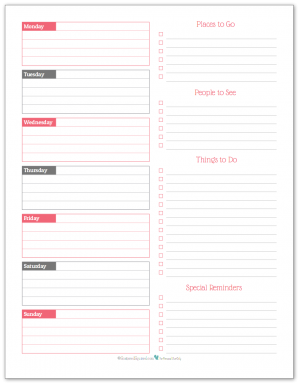 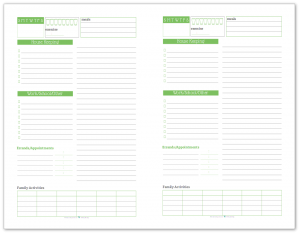 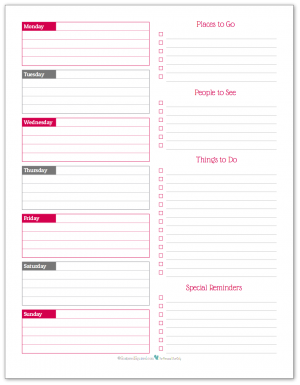 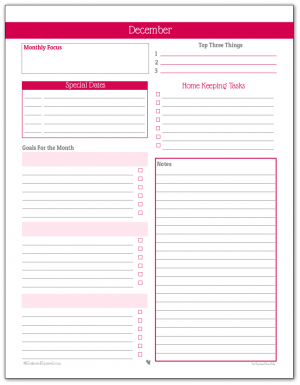 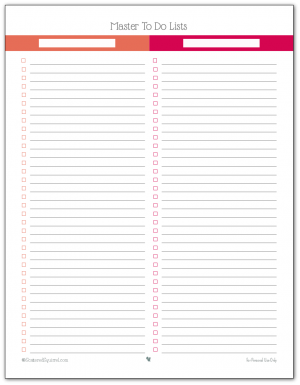 If you haven’t quite found the planner printable you’re looking for, you can find more over on the Personal Planner page.